Assisted opening knife is one of its kind. It is by design a folding knife which opens up the blade by using an internal mechanism. Once the knife is half opened, it can further be opened up using a thumb stub which is attached to the handle’s side. Often this knife is mistaken for switchblade knives. Although, in these knives first the user has to open the knife about a quarter of the way before knife itself opens up rest of the way. The name of this knife is so because of some assistance required by the knife before it completely opens up. 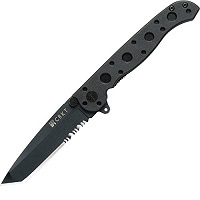 At Best Pocket Knife Hub we have reviewed some of the Best Assisted Opening Knives for you. Blade Quality: The foremost point to be kept in mind before choosing the perfect assisted opening knife for yourself, is the blade quality. This is what determines the durability and life of the knife. Locking Mechanism: The locking mechanism keeps the blade in its open state and prevents the blade from cutting into your fingers. Knife Type: The edge of the blade needs to be decided before you buy your knife. There are three different options, either plain blade, fully serrated blade, or partially serrated combo blade. Blade Length: The knife is available with a small blade which is lower than 2.75 inches in length, a medium blade which ranges from 2.75 inches to 4 inches, or knife with a large blade which is more than 4 inches long. All of them have their perks and disadvantages. It all depends on, as we said, the task you wish to perform. 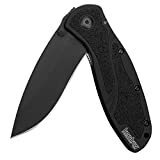 The Blur series of Kershaw knife is known for its excellent power and performance. The knife is 5.5 inches x 2.5 x 1 inches, and the overall weight is just 4.2 ounces. The 3 3/8 inches long blade has been carved from Sandvik 14C28N Steel which gives it its strength and rust resistance. The blade can be smooth or serrated depending on your wish. The handle on this knife is made of lightweight anodized aluminum which has Trac-Tec inserts in it. These inserts provide an excellent grip in any weather conditions. The opening system on this knife is the patented Kershaw’s SpeedSafe assisted opening system. It ensures a smooth opening of the knife which requires a mere manual push on the blade’s thumb stud. For safety, there is the SpeedSafe’s torsion bar which helps keep the knife closed and in position. All these mechanisms ensure a smooth opening of the blade, and then they make sure the blade locks into its position. We loved the pocket knife and so makes it on our best-assisted opening knives guide. It also featured on our Best EDC Knife 2018 guide. The Smith & Wesson have always been the leading knife manufacturers ever since their start. And this folding knife is living proof of their consistency and success. This knife features a 3.6 inches long blade which is made of stainless steel. The blade has been observed to be appreciably rust resistant. 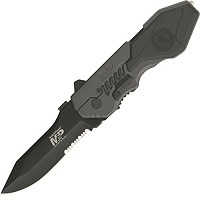 The blade is a combo edge blade and has a 4034 Black finish on its mainframe. The 5 inches long aluminum handle on this knife is state of the art. It provides very comfortable and sturdy grip of the knife. This knife is accompanied by a thumb knob finger actuator, a glass breaker, and a safety lock. There is also a liner lock which is 8.6 inches long, and it ensures the blade stays in its position. Carrying this knife is made very convenient by the pocket Clip. The Magic Assisted Opening System of this knife helps fold open the blade with ease and single-handedly. This is one knife which boats a 3.1 inches long samurai shaped blade. It is in its way a classic. The plain blade is made of AUS 8 stainless steel. The satin finish of the blade makes it easy to conceal and carry with convenience. Also, it has been weighed to be just 3.6 ounces. The overall length of the knife is 7 inches with a 4 inches long handle attached to it. The handle on this pocket knife is a black G 10 handle. The scales on this handle are textured to provide a secure grip for the user. The knife is accompanied by a few perks- an outburst assist, an ambidextrous thumb disk opener and a pocket clip made of stainless steel. This thumb disk facilitates rapid opening of the knife single handedly with either of the hand. Also, the custom made stainless steel clip is ambidextrous and can be easily mounted with a single screw, this has to be one of the best-assisted opening knives. 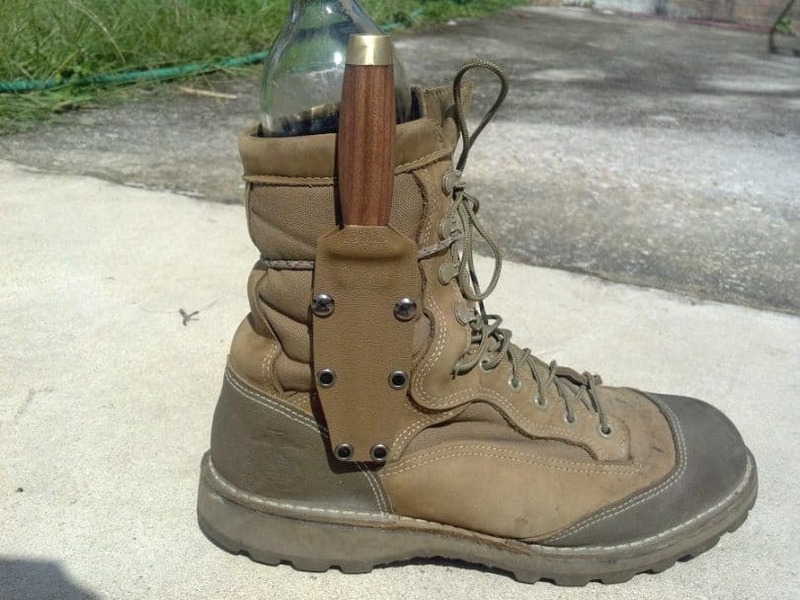 We loved it so much we mentioned it in our Best Boot Knife guide as well! Doing it with style is the motto of Kershaw 1990 brawler. It’s not just the amazing looks; the Brawler also offers a SpeedSafe assisted opening system. The opening system facilitates easy access to the knife using the built in flipper or the convenient thumb stud. The blade on this knife is a modified version of traditional tanto style blade. It also boasts an extra thick tip which ensures potent piercing capabilities. For, the handle is made of molded glass filled nylon which provides extra strength and reduces the weight effectively. The solid locking liner on this blade gives a secure feel to the blade. Ever since its entry in the market of knives, Kershaw has always guaranteed quality. With the 1990 brawler it has proved it yet again. Like all Kershaw products, the brawler is also guaranteed for a lifetime of exceptional performance. 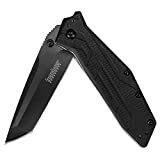 Following the footsteps of all Kershaw knives, this knife is also one of the safest and sturdiest knives available in the market. The knife measures 7 7/8 inches in fully opened condition and weights around 4 ounces. The Kershaw blur folding knife has been crafted out of S30V stainless steel which has a stonewash finish on it. The patented SpeedSafe assisted opening system is makes handling of the knife easy for both right and left handed people. The handle on this knife provides a comfortable grip for the user. Also, the Trac Tec inserts on the handle ensure effective handling in wet conditions. Most knife injuries are because of a poor grip on the knife, but this knife has an effective locking liner which holds the knife blade firmly in its place. There is an additional feature accompanying this knife, the reversible pocket clip. This clips with the handle towards the inside of your pocket. 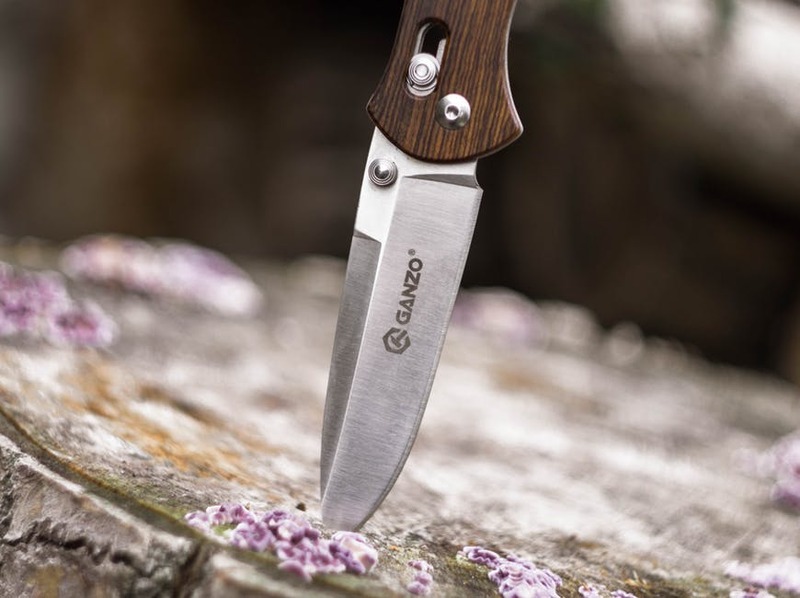 Choosing the best assisted opening knife or any pocket knife for that matter can be a very confusing venture for a first timer. Even the experts of knives can be confused with the wide range of available options in the market. One thing that needs to be kept in mind while buying any knife is that you opt for the best. Always research and take a look at the review of knives which you consider as options. Also, always remember to check in with the knife laws of your state or the place you are traveling to.